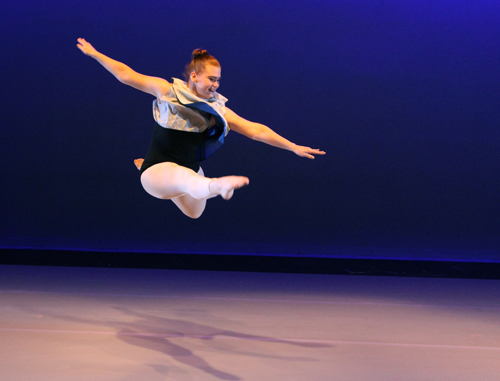 Celebrating the collaborative artistic process and showcasing a diverse collection of choreography, the Dance Choreography Gala will be coming to the Florida School of the Arts Main Stage, located on the Palatka campus of St. Johns River State College, November 17 - 18 at 7:30 p.m. and November 19 at 2:30 p.m. Admission is $5. Highlighting contemporary dance techniques, Ward said, “The Gala showcases the expressiveness of the vast umbrella of what is defined as contemporary dance. One of the exciting features of the process for this concert includes an adjudication of student works.” Ward explained that student choreographers submitted dances to be performed for a committee of SJR State faculty and staff. A select number of the students were then invited to present their choreographed dances for the concert. 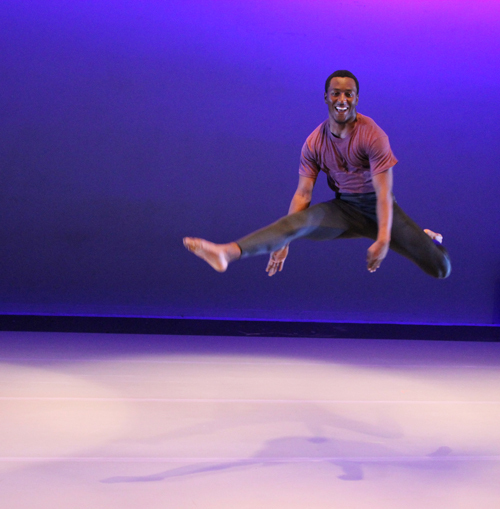 “We feel it is vital for students to have the opportunity to choreograph and go through a selection process to gain valuable opportunities to develop their creative process, collaboration skills, and leadership,” Ward explained. The concert will also include choreography from guest artists, including dances commissioned specifically for FloArts dance majors by guest artist Phil Anchetta and Three Hearts Dance. Three Hearts Dance, a professional dance company based in Jacksonville, is a returning guest. Director Lexi Bristol and Will Darden, founder of Eriden Images, have collaborated with FloArts students to create two dance films to be presented during the Gala. The films feature current students as well as alumni. Set on location, the dance films feature many areas of interest in downtown Palatka and Jacksonville. Herman Ramos, who recently joined the FloArts dance faculty, has created “Tangent,” a new contemporary work that includes many gestural phrases as an extension of interpersonal communication. And Jenne Vermes, resident tap instructor, has created “Visual Sound, Audible Movement,” a dance that unifies contemporary dance technique and tap, reflecting the need to come together in our divisive times. Alongside the professional choreography selections are five student dances. “We are the Light,” choreographed by Matthew Wilson, is a hip-hop dance celebrating joy in our world. “Beauty Marks and Battle Scars,” by Katie Garrepy, is a dance that illustrates the pressure to conform to an ideal image in today's media. “Cavity,” by Amaani Grant, is a duet exploring rejection and acceptance. “Asylum,” by Robert Allen, is a dance taking place in a mental health ward, and “Speak,” choreographed by Yasmin Rohena, is a dance reacting to how our devices and phones affect our relationships. The dancers are: Robert Allen, Ursula Allen-Darring, Cameron Bartelt, Alberto Blanco, Mitchel Burns, Yul Carrion, Jid Charles, Jahleel Christian, Kacey Clark, Jamie Costner, Torie D'Alessandro, Markeith Douse, Krishelle Edwards, Kevin Figueroa, Garrepy, Grant, Fredrick Harris, Abigail Hinson, Ashley Leake, Jessica McCumber, Ashley Mercado, Dion Pratt, Libby Rodriguez, Rohena, Justin Savage, Katrin Silvis, Gemma Smith, Katrina Smith, Maycee Smith, Mark Wildman and Wilson. The production staff includes: Costume design - Sarah Cox; lighting design - 2017 lighting design class; sound design and engineer - Braden Harrington; stage manager - Kaylee Dowd; assistant to the lighting designers - Andrew Stevens; faculty costume supervisor - Emily Strickland; faculty design supervisor and technical director- Robert O’Leary; costume shop manager - Tiffany Jordan; assistant stage managers - Maria Clark and Brandy Ramos; production assistants - Rodriguez and Smith; light board operator - Andrew Stevens; sound board operators - John Robinson III and Tricia Williams; costume construction crew - Robert Allen, Kiersten Bartholomew, Danielle Brownfield, Anastasia Costas, Marcus Donaldson, Brandon French, Allyson Futch, Martin Hamilton, Jasmine Saumat, Carine St. Juste; carpenters, scenic painters and electricians - Katrina Babitske, Burns, Matthew Campbell, Figueroa, Anna Guzman, Harrington, Noah Peacock, Brittany Posso, Madison Protonotarious, Robinson III, Hayley Smith, Andrew Stevens, Christopher Toombs and Williams. Florida School of the Arts is part of the academic and administrative structure of SJR State and awards the two-year associate degree. The School serves the entire state of Florida and is located on the SJR State Palatka campus. For more information, call 386-312-4300 or visit the website at floarts.org.